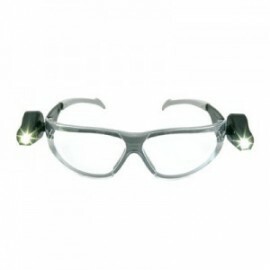 Lighted safety glasses from AO-Safety offer hands-free direct lighting. 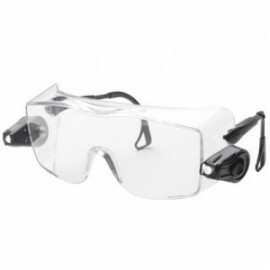 Safety glass has an anti-fog coating that keeps vision clear in tight spaces. Ultra-bright, adjustable LED lights prolong battery life (batteries included). 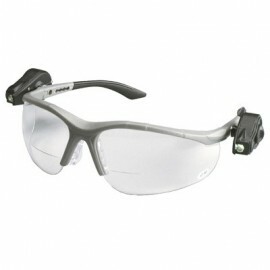 The safety glass has rubber temples and nose pads for added comfort. Great for any project with poor lighting; plumbing, electrical work, auto repair, assembly, inspection work and more. Microfiber bag/cleaning cloth included. 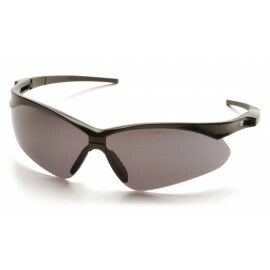 Glasses meet ANSI Z87.1 impact standards.